Parish Renewal from the Outside in. 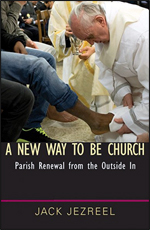 Building on the legacy of the Catholic Church’s robust historical witness, the inspiration of Pope Fran­cis, and his own experiences as parish minister, Catholic Worker member, and founder of Just­Faith Ministries, Jack Jezreel presents a unique vision for renewing parish life. The world today is filled with angry voices, voices that often call for isolation and even violence against those who differ from us by race, nationality, religion, sexual orientation or lifestyle. At the same time there are many voices that call for us to change, to make peace, to open ourselves up to others and hear what they’re saying. Most of these voices bring religious arguments to bear on the issue. Rev. Janice Springer goes a step, indeed several steps, further. She tells us how to reach out, how to pray, to interact, and indeed to change ourselves. 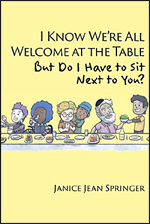 This book provides a powerful approach to creating new, peaceful relationships and learning to live together while celebrating our differences and growing from them. 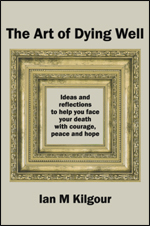 Includes guides to study, exercises, and activities, and a sample program for a retreat. It is written from the perspective of the author’s Christian ministry, but it is inviting and useful to those of other faith traditions as well. The Surprising Truth Behind the Birth of Christ. The perfect gift for the Christmas holiday – a profoundly moving and intellectually provocative examination of the nativity story. 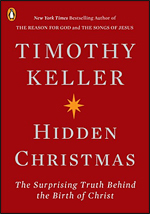 Keller takes readers on an illuminating journey into the surprising background of the nativity. By understanding the message of hope and salvation within the Bible’s account of Jesus’ birth, readers will experience the redeeming power of God’s grace in a deeper and more meaningful way. Advent is a fresh start, a welcome into the silence and the mystery of whatever is waiting to be born or reborn in our lives. 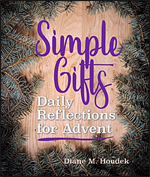 Gathering wisdom from Scripture, from saints and spiritual writers, and from the author’s own deceptively profound insights about everyday life, Simple Gifts is a way to seek a sense of peace and wholeness in our hearts and in our daily lives. It’s an opportunity to learn more about ourselves and the God who loved us enough to become one of us and share our journey. If we do that even in small ways this year, we will have an immeasurable gift to share with our loved ones–and possibly even with our world. 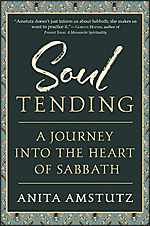 Journey Into the Heart of Sabbath. Amstutz offers field notes and a road map from her own Sabbath keeping practice for the 21st century – a practice rooted in tradition but whose tenets can be applied to practices fit for our present hectic and troubling world. She has written the book in such a way that it can easily be adapted as a study guide! Each chapter ends with a list of questions for reflection that are perfect for use by full congregations, independent readers, and every kind of group in between. 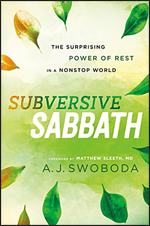 This provides an accessible and engaging method to a shared understanding of Sabbath keeping in the modern day. The Surprising Power of Rest in a Nonstop World. Combining creative storytelling, pastoral sensitivity, practical insight, and relevant academic research, Subversive Sabbath offers a unique invitation to personal Sabbath-keeping that leads to fuller and more joyful lives. 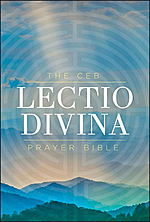 The CEB Lectio Divina Prayer Bible. The CEB Lectio Divina Prayer Bible makes it simple to do. This volume highlights key issues in the Hebrew Scriptures from the perspective of top female biblical scholars. 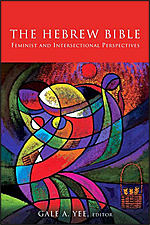 This includes historical critical and literary textual analysis and exegesis, particularly as viewed through feminist and intersectional interpretive lenses. Intersectional lenses include the racial/ethnic, class, Global South, postcolonial, and so forth, and their interconnections with gender. The essays have been created for students who may be encountering feminist biblical and intersectional scholarship for the first time. 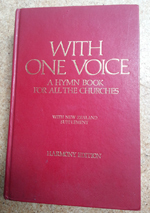 Other contributors to this volume include Carolyn J. Sharp, Vanessa Lynn Lovelace, Corrine L. Carvalho, Melody Knowles, and Judy Fentriss-Williams. And Other Stories (Inspector Maigret). 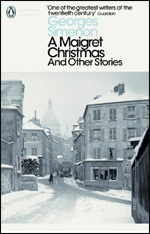 In this delightful holiday-themed collection of nine short stories, Inspector Maigret must solve a series of little mysteries – just in time for Christmas morning. In one story, an otherwise sensible little girl insists that she has seen Father Christmas, a statement alarming to her neighbors, Monsieur and Madame Maigret. Then, a choirboy helps the inspector solve a crime while he lies in bed with a cold; another boy, pursued by a criminal, ingeniously leaves a trail to help Maigret track him. Many of these stories feature observant and resourceful children, frightened yet resolute, who bring out a paternal streak in the childless Maigret. The rapport between the inspector and these youthful heroes imparts a delightful freshness to this holiday collection. 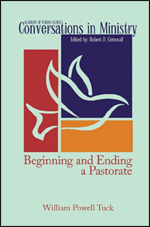 In this short volume, Dr. Tuck draws on his experience in all phases of this transition to help pastors and congregations understand the process and learn to work together to make such change successful. He addresses the role of the interim pastor, of the church leaders, and the departing and incoming pastors. If you are a pastor and are facing a change of this nature or are a leader in a congregation that is experiencing or about to experience such a transition, this book will provide you with clear, practical, scripturally based, and theologically sound advice for every step of the way. 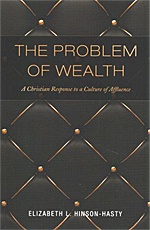 A Christian Response to a Culture of Affluence. What if we reconsidered our views on poverty and perceived it as a problem with the way we live with wealth? Approaching the issue from a theological rather than a market-driven perspective invites an alternative social logic, informed by a much richer picture of human beings and our limits as we live in symbiotic relationship with the larger delicate web of life. L J Sattgast; Laurence Cleyet-Merle (Illustrator). Children love the soothing sound of rhyme! 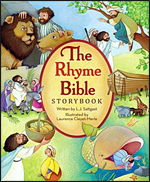 And now they can enjoy 35 delightful, classic Bible stories retold in lilting verse and rollicking, read-aloud rhyme in this new updated edition. From the story of creation, to the resurrection of Jesus, this is the perfect choice for parents who want to introduce their children to the Word of God. Vivid illustrations by Laurence Cleyet-Merle breathe new life into a previously successful storybook Bible in the popular Rhyme brand. Elizabeth F Caldwell; Wehrheim Carol A. This book will help nurture the faith of the children in your life. It features 150 popular Bible stories that are organized by 13 themes, including Strong Women and Men; Listening for God; Parables; Healings and Miracles; and more. Each story is built on the latest in biblical scholarship and learning theory and helps children begin to understand the Bible and apply its teachings to the world around them. Three reflection questions–Hear, See, Act–are included at the end of each story to help children further ponder the message of the story. 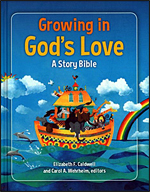 Ideal for children ages 4-8 and perfect for Sunday school classrooms, children’s sermons and gift-giving at baptism or other milestones. A Guide to Bible Basics. Provides a summary and chapter outline of each biblical book to facilitate comprehension of its fundamental story and subject matter. This accessible and concise book presents the basic content of the Bible with the conviction that readers first need some level of comprehension of the Bible’s stories, poetry, regulations, and teachings before addressing theological, historical, and literary concerns for its relevance today. Mayfield discusses important people, places, and terms so that the reader can quickly see the primary focus. 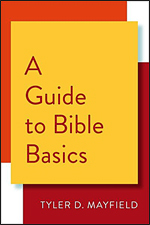 Can be used alone to help readers in their knowledge of the Bible and is great for beginners or those in need of a refresher course. The wisdom of paleontology is creating a revolution that is likely to shake many inherited Christian beliefs, including the doctrine of Original Sin. 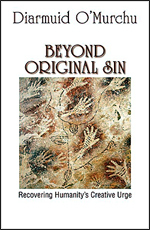 This book does not set out to dispel the notion of Original Sin, but rather it makes a compelling case for fundamental goodness and our human foundational creative urge as the bases for faith and spirituality. What Happens After Saying Yes to God. Cole reflects on realities that are common to anyone who is serious about living a sincere Christian life and trying to follow the message of Jesus in the Gospels. 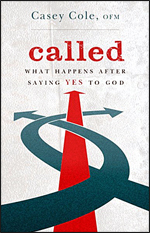 Called offers inspiration and guidance to all those pursuing a life in Christ, in whatever form that may take. What you wonder, what you struggle with, what you experience in your daily life – you’re not alone. You don’t need the talent of a classically trained artist to create a stunning icon. 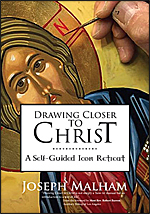 Follow along step-by-step with internationally acclaimed iconographer Joseph Malham as he takes you through an eight-day, self-guided contemplative retreat to create your own icon of the Christ Pantocrator (All-Powerful, the Teacher). For 1500 years, icons have helped Christians meditate and pray. Used in homes and public worship, these symbolic images represent the presence of Christ and the saints. You will learn how to enter into the process of tracing the icon into the wood, applying gold leafing to the halo around Christ’s head, and blending the paint to create beautiful colours that radiate holiness. Malham provides a list of supplies needed for each stage and step-by-step directions with detailed photographs. 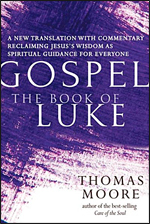 Gospel – The Book of Luke. In his fresh and life-giving translation of the Gospels with sparkling commentary, spiritual innovator Moore strips the Gospels of their theological agendas and reclaims them as a fundamentally new way of imagining human life. He blends scholarship and pastoral guidance to highlight the Gospels’ teachings on earthly, rather than otherworldly, living in which community, compassion, inclusiveness, prayer and healing are key elements. He draws deeply from Greek philosophy, literature and spirituality to craft an accurate and challenging yet accessible translation that, free of religious moralism and dogmatism, is beautifully imaginative and inspirational. A Memoir in Thirteen Animals. Understanding someone who belongs to another species can be transformative. To research her books, Montgomery has travelled the world and encountered some of the planet’s rarest and most beautiful animals. From tarantulas to tigers, her life continually intersects with and is informed by the creatures she meets. 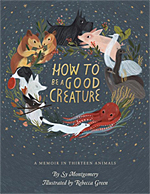 This restorative memoir reflects on the personalities and quirks of thirteen animals – Montgomery’s friends – and the truths revealed by their grace. how to be a good creature in the world. 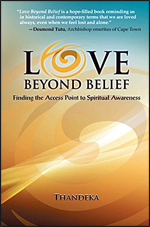 Finding the Access Point to Spiritual Awareness. Searching for the Image of God in a Digital Age. Craig Detweiler, a nationally known writer and speaker and an avid social media user, examines the selfie phenomenon, placing selfies within the long history of self-portraits in art, literature, and photography. He shows how self-portraits change our perspective of ourselves and each other in family dynamics, education, and discipleship. 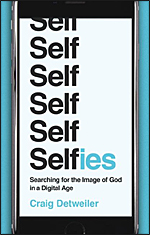 Challenging us to push past unhealthy obsessions with beauty, wealth, and fame, Detweiler helps us to develop a thoughtful, biblical perspective on selfies and social media and to put ourselves in proper relation to God and each other. He also explains the implications of social media for an emerging generation, making this book a useful conversation starter in homes, churches, and classrooms. Each chapter ends with discussion questions and a photo assignment for creating a selfie in response to the chapter.